New York Times, and Pitchfork, and electrifying appearances on talk shows including Ellen, The Late Show with Stephen Colbert, The Tonight Show Starring Jimmy Fallon and at festivals around the globe have all cemented .Paak's place as one of the most premier artists on the music scene today. 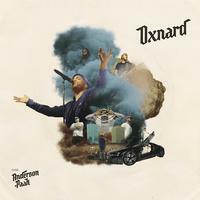 Born Brandon Paak Anderson, his extraordinary talent was fully realized under the name Anderson .Paak with his debut Venice and a stellar six-song run on Dr. Dre's certified Gold Compton album, culminating in the perfect storm of his sophomore release, 2016's Malibu. Met with universal rave reviews, major nominations, including Best New Artist and Best Urban Contemporary Album Grammy nods, and a hail of award wins. Game's The Documentary, and (Kanye West's) The College Dropout."